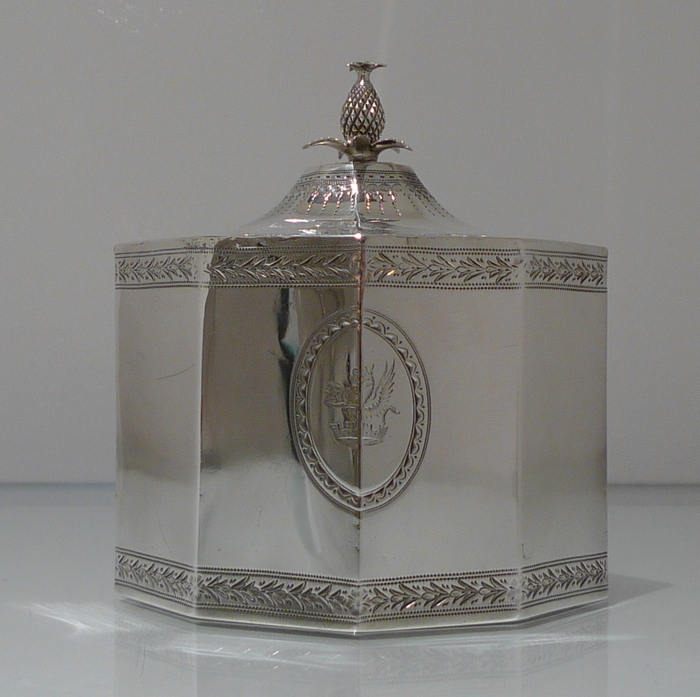 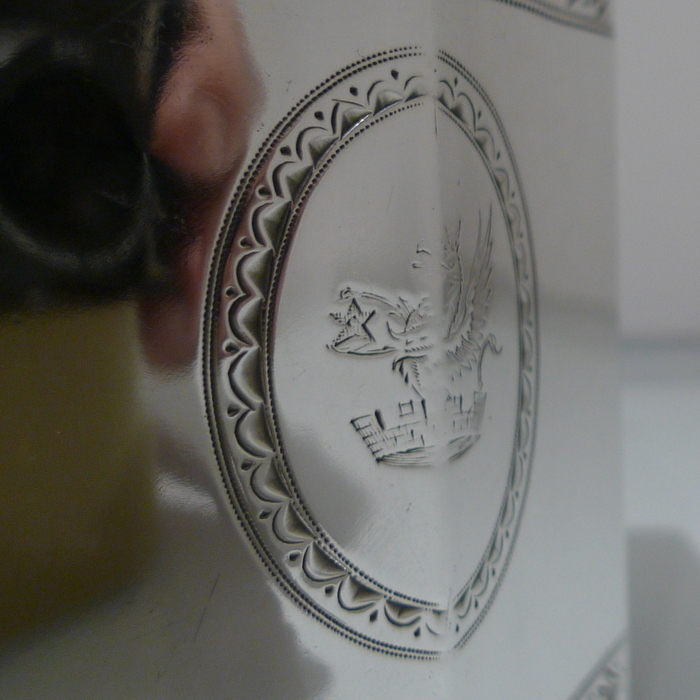 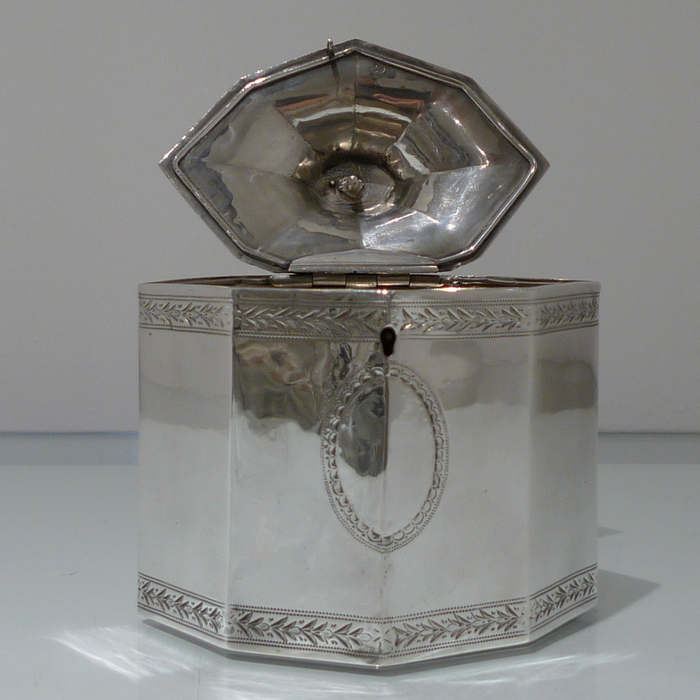 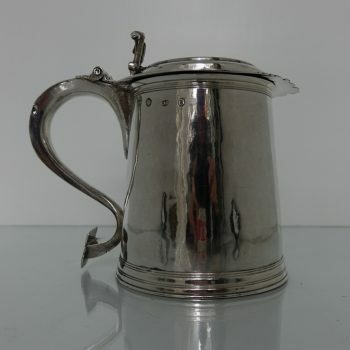 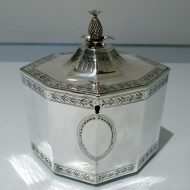 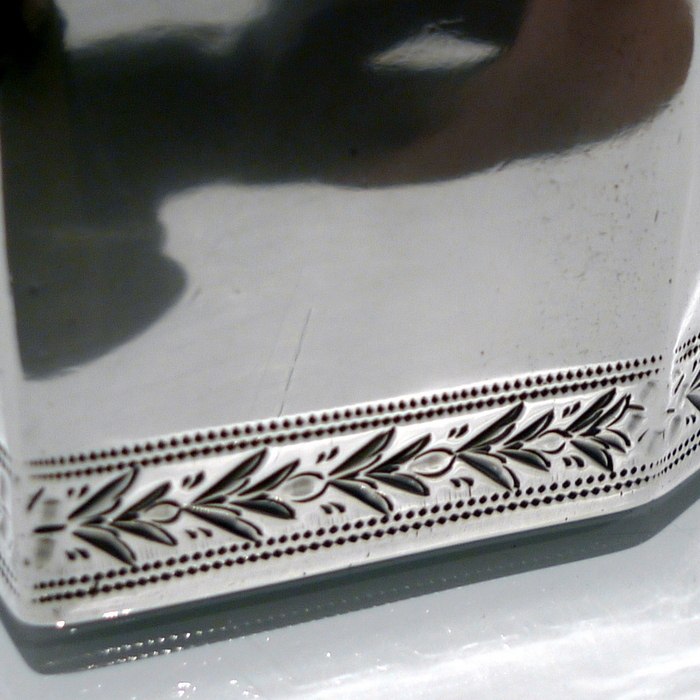 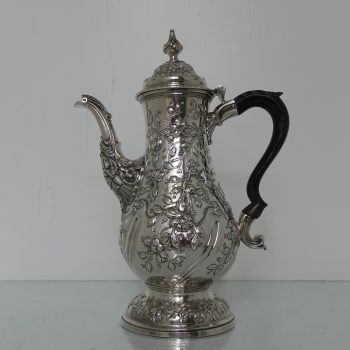 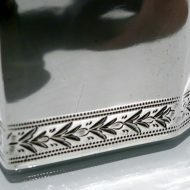 A beautiful and extremely rare octagonal bright cut engraved tea caddy. 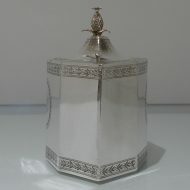 A beautiful and extremely rare octagonal bright cut engraved tea caddy. 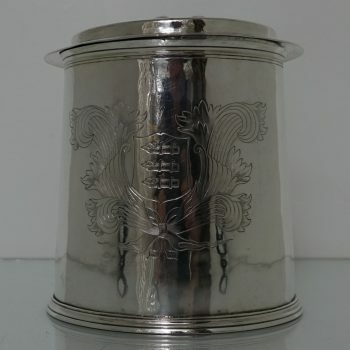 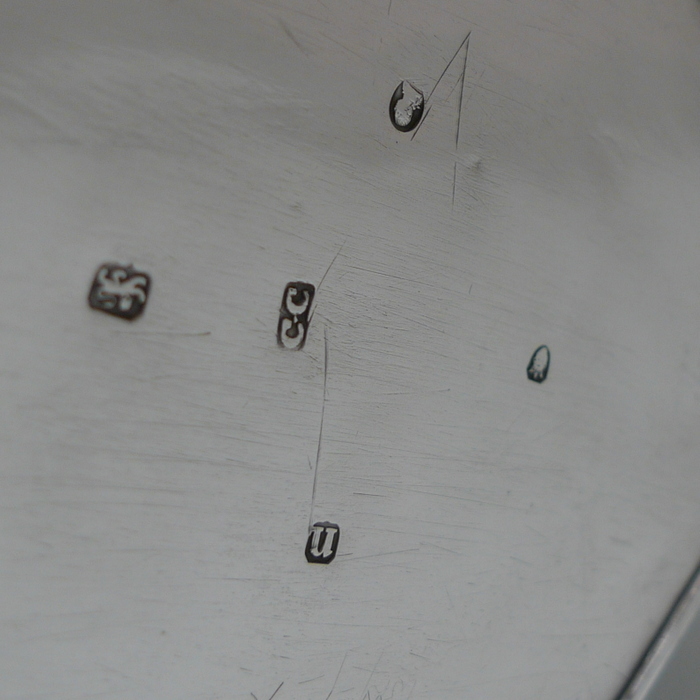 The caddy has decorative double cartouches with the centre back cartouche having a stylish contemporary crest. 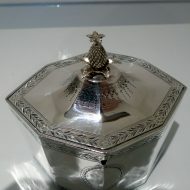 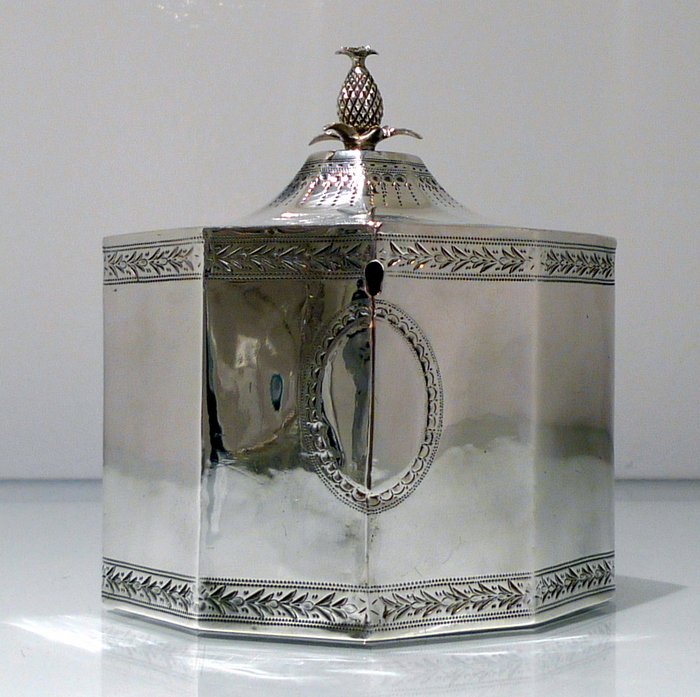 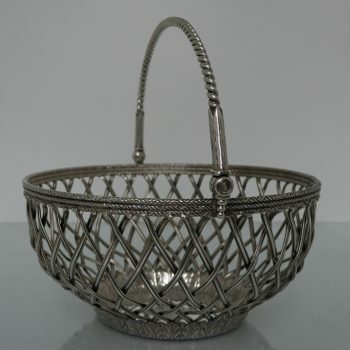 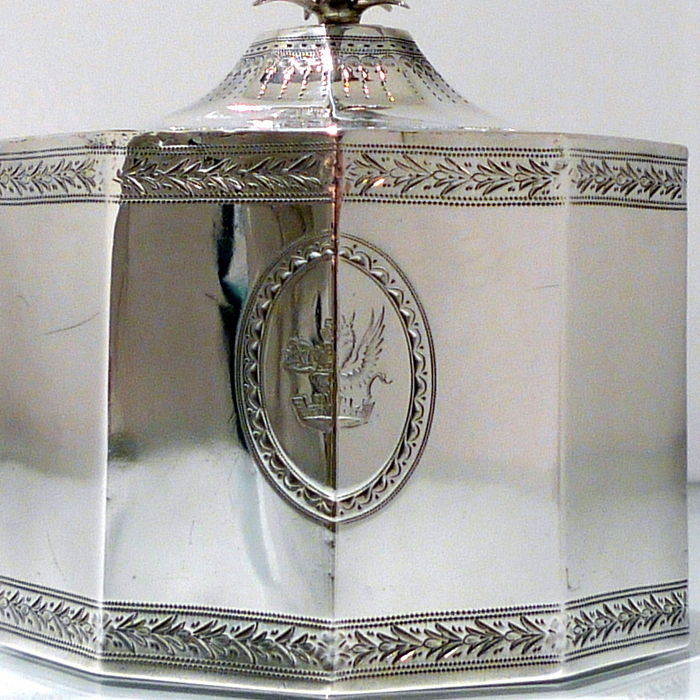 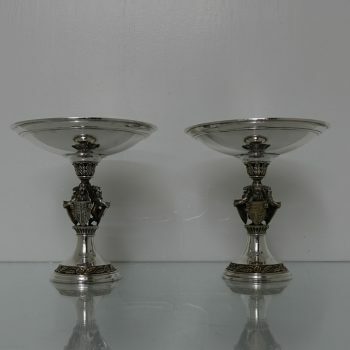 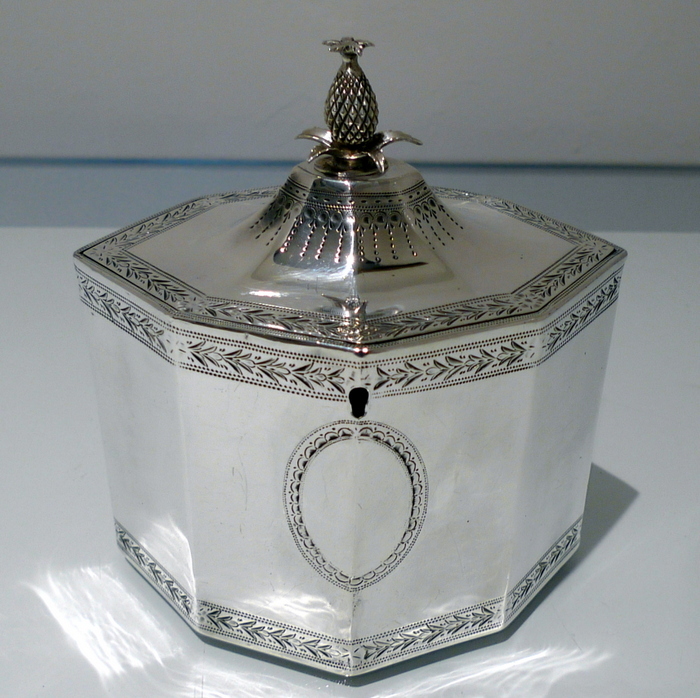 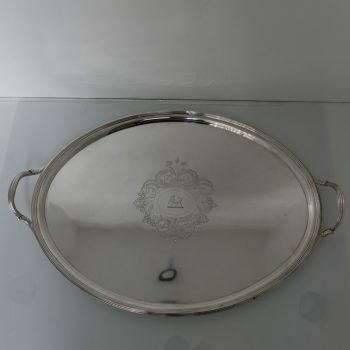 The lid is hinged and is crowned with an elegant pineapple finial.